At Children's Healthcare of Atlanta, our doctors, nurses and staff are specially trained to care for children under the age of 21. From colorful, friendly waiting rooms to equipment that fits patients of all sizes, every detail is designed specifically for kids. Children’s pursues affiliations with organizations in outlying communities that share a similar vision to improve quality and access to pediatric care. These organizations are similarly committed to high quality, community-based pediatric care and are aligned with our core values and principles for collaboration. Children’s is collaborating with Mercy Care Atlanta to provide onsite pediatric primary care at the Mercy Care Chamblee clinic. The clinic will more than triple the current capacity of Mercy Care’s existing North clinic and expand pediatric primary care services to homeless and impoverished patients. 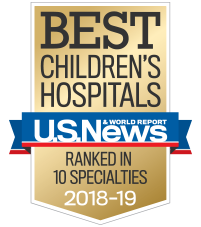 Children’s and Mercy Care are both vital community resources with dedicated staff and engaged volunteers focused on providing access to compassionate, patient-centered care for individuals in need. Working with Mercy Care will allow Children’s Primary Care physicians and staff to treat even more patients every year. Children's and Piedmont Athens Regional share a similar vision that aligns with Children's mission to make kids better today and healthier tomorrow. Both organizations are committed to high quality, outcomes-driven pediatric care. Children's is providing the tools and pediatric best practices to Piedmont Athens Regional to help improve its pediatric quality and patient safety program, and working together to provide training for pediatric doctors and nurses. Piedmont Athens Regional will deliver care informed by Children's Healthcare of Atlanta's pediatric quality and patient safety program, training for pediatric staff and pediatric clinical guidelines developed by Children's using industry best practices. The affiliation will also promote enhanced care coordination between Piedmont Athens Regional and Children's and anticipates providing access to Children's specialists via telemedicine in certain specialties and areas of the hospital. Through this affiliation, Children's collaborates with Piedmont Columbus Regional with the goal of better serving children and families in the Columbus area. The affiliation supports the commitment of Children’s and Piedmont Columbus Regional to provide high-quality pediatric care and to expand access to specialized pediatric care in Georgia. Children’s provides tools, training and pediatric best practices to Piedmont Columbus Regional to focus on its pediatric quality and patient safety program. The two systems work together to provide training for pediatric doctors and nurses. The affiliation enhances care coordination between Piedmont Columbus Regional and Children’s. Children’s works with Piedmont Columbus Regional’s pediatricians on best practices designed to enhance the evaluation and assessment of kids; on quality protocols for pediatric patients; on building additional infrastructure to monitor quality and to advance patient safety; and on methods for enhancing care coordination and clinical integration.